If I could only attend one conference a year, I know exactly which one I would choose: Quantified Self Europe. 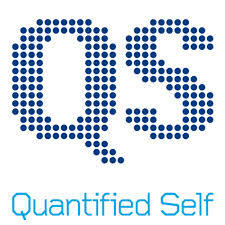 I have a very special relationship with the Quantified Self Europe conference in Amsterdam. In fact, I actually wrote my first two posts on this blog during the first QS Europe conference in November 2011 (read them here and here). I have always felt so welcome and comfortable in the QS community, both at all the 3 QS conferences I’ve attended in Amsterdam and the Bay Area meetup I attended in September 2013. I remember watching Caspar Addyman’s ignite talk in 2011 and first regretting that I was sitting in the middle of a row and therefore wouldn’t be able to leave without drawing attention to me… but then I thought again… and I realised that what Caspar was talking about could actually be used for helping people with Parkinson’s. At the next QS Europe conference, we gave a joint talk about that. At Quantified Self, I forget I have Parkinson’s. Because at QS, no-one evaluates or assesses you, no-one judges, no-one looks at you and wonders what Hoehn & Yahr stage you are or what your UPDRS score is. At QS everybody measures something about themselves but they also respect your efforts to improve your life and your health without judgement. That is a very empowering feeling! I am looking forward to attending my first QS Global conference in San Francisco 13-15 March 18-20 June 2015 (see info here) and I hope I won’t be the only parkie there. Let’s meet in SF in June and share our best ideas to forget we have Parkinson’s! I would like to meet you there! I’d love to go to this in my favourite city but I couldn’t face the trip let alone find the cash. Hats off to you going though! meet you there….lets get people living with Parkinson’s self tracking now so we have the data collected prior to conference…who is going to join Sara and I? Previous PostPrevious Healthcare or health?